This recipe has been re-invented from our mom’s kitchen! It was a favorite that many of us requested as our special meal. Although they take some preparation, they are absolutely delicious. See below how to wrap the chicken pieces. 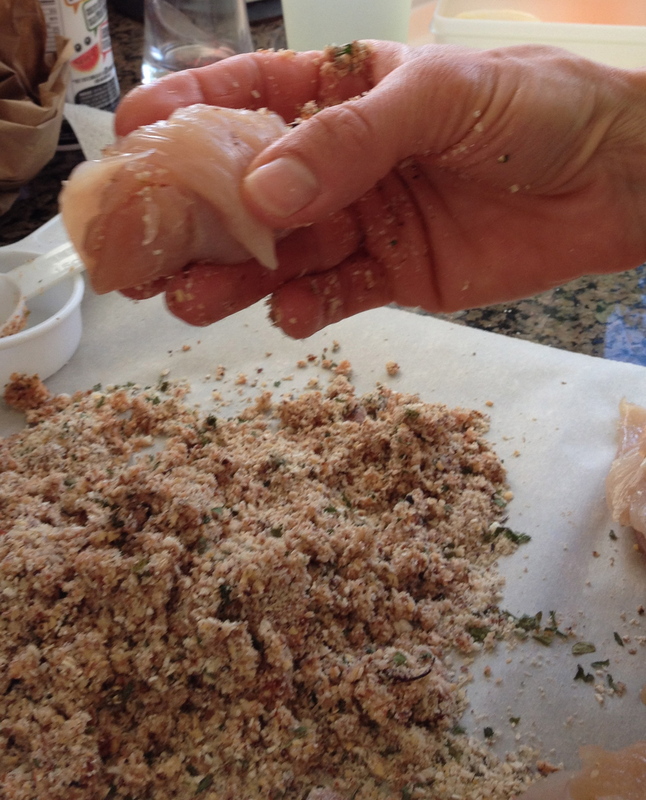 Pound chicken fillets to 1/4 inch size between two sheets of parchment paper. Mix together all ingredients from almond meal to salsa. 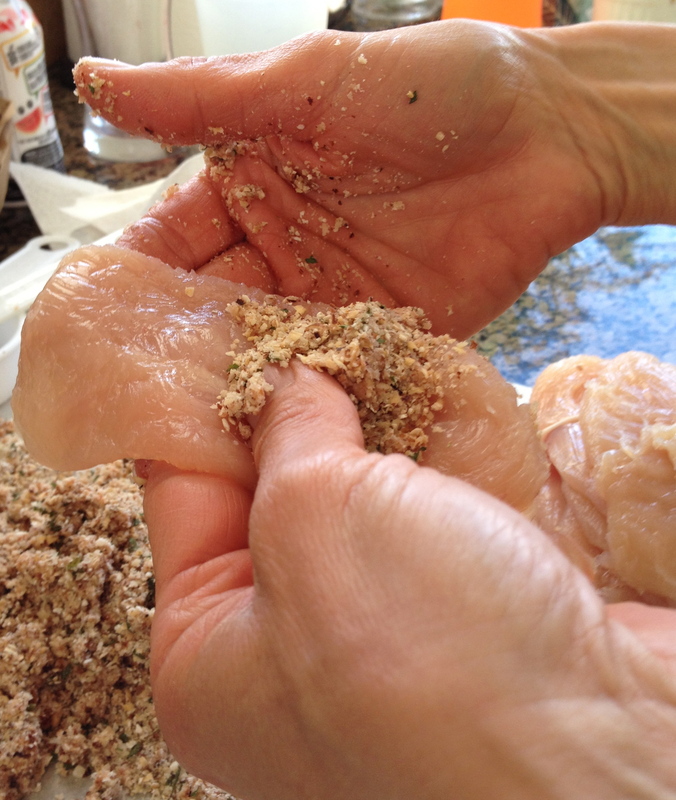 Use hands to work salsa into mixture. Make the marinade by combining all the marinade ingredients and set aside. Skewer one bay leaf at the end of a skewer ready for the next step. 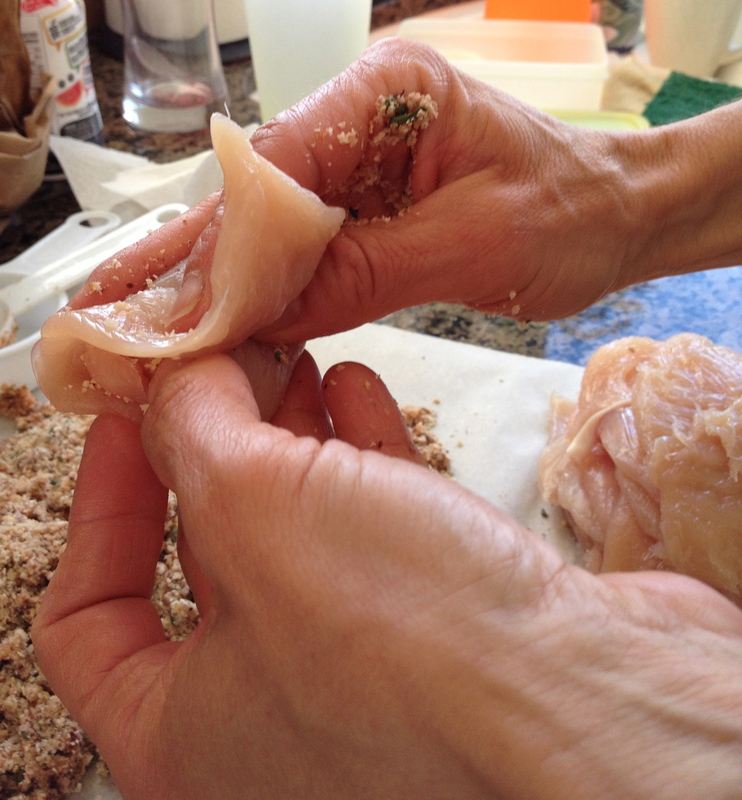 Arrange one chicken fillet in the palm of your hand and place about 1 tsp of almond mixture onto the centre of the fillet but closer to the broader edge. 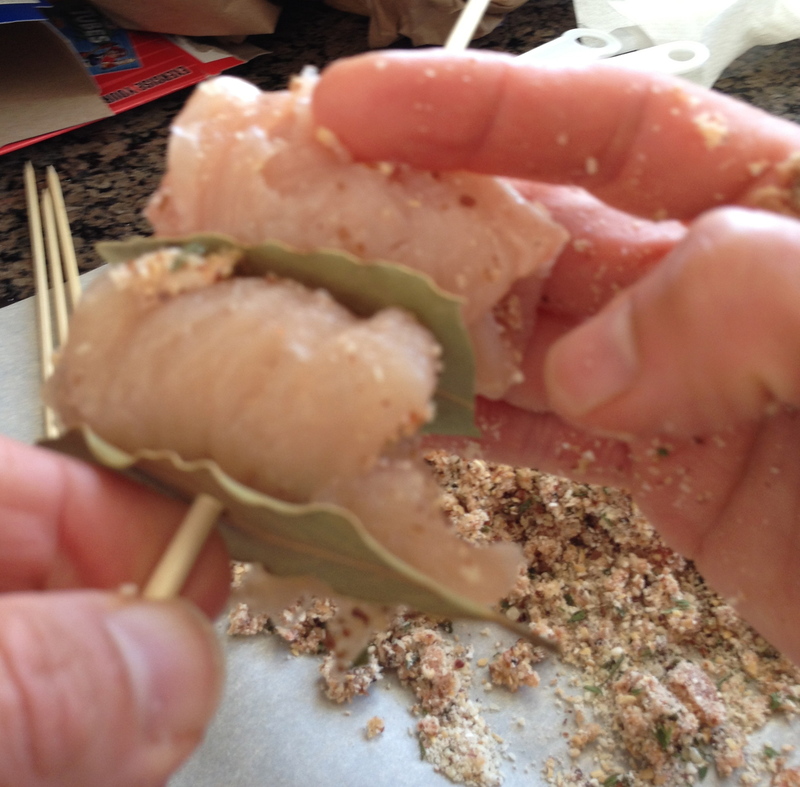 Roll the edges of the fillet to cover the filling and then forward to close. 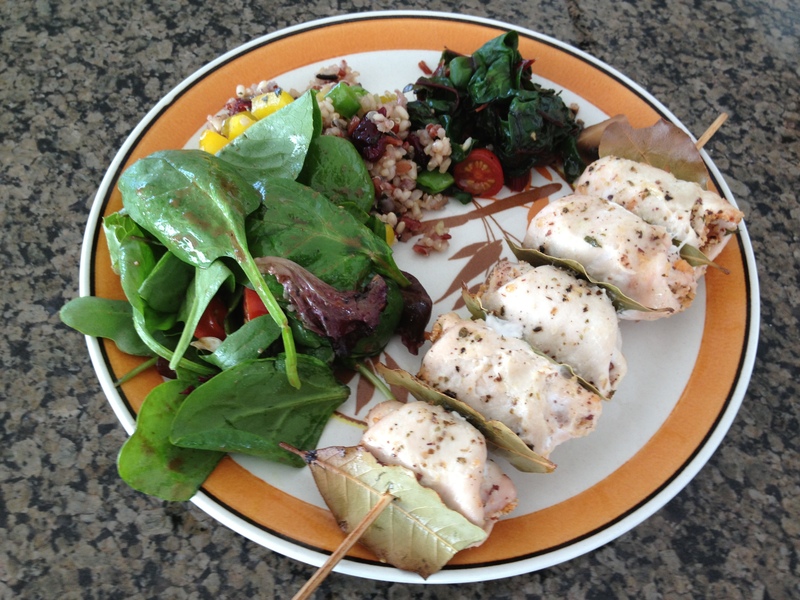 Skewer the wrapped chicken beside the bay leaf. Add another bay leaf onto the skewer and next to the chicken. Repeat the process until you have placed 4 or 5 chicken wraps onto a skewer. Lay prepared skewers into 9 x 13 baking pan and cover with half of marinade. Let stand for about 1 hour. Grill or bake at 400 degrees F for 25-30 minutes. Brush with remaining marinade throughout cooking time. When ready to serve, remove from skewers and discard bay leaves.